Now that I've provided some insight from Part 1 of this 2 part post into the reason why many Americans find themselves in a situation where they have nothing saved for retirement and how many Americans couldn't cover a $400 unexpected expense without resorting to debt, we can delve into the possible solutions to address this pandemic that our country faces. As I alluded to in part 1 of this 2 part series, I believe that simply spreading the message that this country faces a systemic crisis in regards to financial illiteracy and retirement is the most important part of the equation to work towards solving the above issues. Without knowing the origin of an issue, along with the severity, we can't effectively provide solutions to this problem. Trying to fix this problem without fully understanding the magnitude of it is comparable to a doctor trying to treat a patient for an illness they don't yet have a diagnosis for. It's not advisable to attempt to fix a problem without fully understanding it first. The first course of action now that we know the scope of this problem is to prepare the younger generations such as myself on finances while they are still in middle school and high school. Of course, there are two obstacles to this plan of action succeeding. The first is that many of the teachers that would teach these courses probably don't know much about personal finance themselves, and the good intentions of this program could be somewhat negated in that regard. The second issue to this is determining how we can actually make personal finance an interesting topic to teenagers. 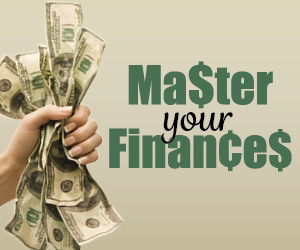 There are even many adults whose eyes glaze over when talking personal finance. However, the good news is that teenagers are still highly impressionable if the ideas originate from someone they respect or view as "cool." If it was required in a personal finance class that everyone read a blog such as MrFreeAt33 or Mr Money Mustache, that could perhaps appeal to youth as it did for me. Who could object to being able to live on their terms? I believe even kids could put 2 and 2 together and realize that if they were financially independent, then every day would be like a "summer vacation" in a sense. Even if there are objections to the above sites, I believe that everyone can take away from the sites that there may come a day that you may be unable to work for whatever reason. This could be because you are physically or mentally unable to hold employment or you are fired from your job because of downsizing. If this does occur, wouldn't it be more favorable to have assets that could help you through those tough times? Asking these questions of students that are basically impossible to refute could be useful in transforming their mindset from the spender mindset to the saver/investor mindset. Driptilrich also referenced a great idea in this post. We are taught in school the effects of compound interest in abstract terms, but we are never really taught about the benefits of investing or the drawbacks to being in debt. I would expand curriculum to teach the youth the true power of compounding in the world of personal finance. Lastly, as much as I believe in the personal responsibility aspect of addressing this issue, I do believe that because there will be some Americans that aren't able to save enough for retirement or simply choose not to, it is important that our political leaders address the issues facing Social Security Retirement benefits. The Social Security trust fund is expected to be depleted by the year 2034 according to this article by Forbes. As the Baby Boomer population ages with 10,000 Americans retiring everyday, the expenditures for Medicare and Social Security will continue to consume more of the budget each year. This presents major problems for the tens of millions of Boomers that are relying upon these benefits because either benefits will have to be cut in a significant way, FICA taxes will need to be increased, or both will need to occur to preserve the benefits that our aging population is dependent upon. I'm split on whether our politicians will do what needs to be done to address this problem in a timely manner as they continue to "kick the can down the road" on this issue as they seem to do with almost everything, although I do believe they will be forced into both raising FICA taxes and decreasing benefits because of their procrastination at some point. In summary, I don't have any one suggestion that will solve the financial illiteracy and retirement crisis completely on its own. Rather, I am offering the above suggestions to hopefully begin a meaningful conversation. What are your thoughts on my suggestions to remedy this dire situation that most Americans find themselves in? Are there any possible solutions that I may have missed?